Transport measurement techniques are generally considered to be indirect methods of probing the phenomenology of materials and hence are limited in scope and require careful interpretation. However, when performed with due care and precision in addition to other characterization methods, magnetotransport measurements are an essential tool in the study of magnetic and electronic materials particularly in proving potential devices that function on the basis of charge or spin transport. In this work, we demonstrate the advantage of employing a method that simultaneously measures the planar Hall effect and the anisotropic magnetoresistance which are two aspects of the resistivity anisotropy to characterize a range of semiconducting and conducting oxide thin films. 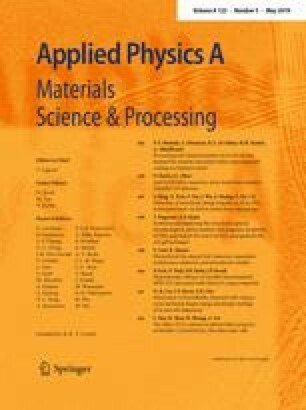 The development of novel magnetotransport characterization methods is motivated by the need for reliable measurements of the electronic properties of a wide range of materials under varying thermal, mechanical and magnetic conditions. Part of this research was supported by the National Science Foundation and the Army Research Office. We gratefully acknowledge the support from the Extreme Light Sources DARPA project W31P4Q-08-1-0003 administered by the University of Florida. The corresponding author would like to thank John Christopher Ledford for his assistance with measurements using the SQUID and PPMS facility in the Department of Materials Science and Engineering at North Carolina State University.